Goji Boutique, the online store that features exclusive designer brands, will be exhibiting their sale and fall collections at Barcode next week. Make sure not to miss! 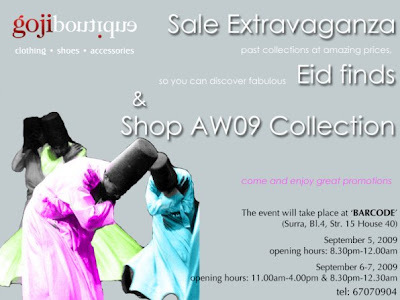 please note that www.gojiboutique.com is purely an online boutique.